In Match 18 of VIVO Indian Premier League (IPL 2019), Chennai Super Kings (CSK) will lock horns with Kings XI Punjab (KXIP) at M Chidambaram Stadium in Chennai on Saturday. It will be a battle of leadership between MS Dhoni and R Ashwin. Dhoni's ability to keep his cool even in tricky of situations against Ashwin's aggressive approach and out-of-the-box decisions would certainly make for an interesting contest. Both – CSK and KXIP -- have three wins each and both will try to outdo to attain the top spot at IPL points table 2019. There is uncertainty over the availability of CSK’s star all-rounder Dwayne Bravo for today’s game after he suffered a hamstring injury against Mumbai Indians. In Bravo’s absence, New Zealand pacer Scott Kuggeleijn may be drafted into CSK playing 11. The two previous matches at MA Chidambaram stadium have produced contrasting performances. While Royal Challengers Bangalore were bundled out for 70, Rajasthan Royals made CSK sweat before going down by eight runs on a better surface for the batters. CSK have relied on team effort to win their matches as different players have step up at crunch situations in IPL 2019 so far. CSK’s only worry would be the form of opener Ambati Rayudu, who has struggled to get going after IPL 2018 success, perhaps creating a chance for Murali Vijay or Faf du Plesis at the top of batting order. Chennai Super Kings skipper Dhoni will expect his bowlers to step up after the Mumbai batsmen went on the rampage during Match 15 of IPL 2019. In fact, CSK may opt for an extra spinner in place of either Mohit Sharma or Shardul Thakur. The CSK's bowlers will be wary of Chris Gayle's power-hitting provided he plays after missing the game against Delhi Capitals on April 1. With Gayle sitting out in their last match, KXIP showed it is not about the hard-hitting West Indian alone as KL Rahul, Mayank Agarwal put their hands up. And Punjab would hope that they continue to shine. KXIP skipper Ashwin, who was part of CSK before the franchise let him go, would be looking to put his best foot forward against his IPL franchise. CSK vs KXIP match live streaming will be available live on Star Sports 1 HD, Star Sports 1 in English Commentary and Star Sports 1 Hindi, Star Sports 1 Hindi HD in Hindi Commentary. One can also live stream the CSK vs KXIP 2019 IPL match on Hotstar app and website. The fans can also watch in-depth analysis of live match on Star Sports Select 1, Star Sports Select 1 HD. 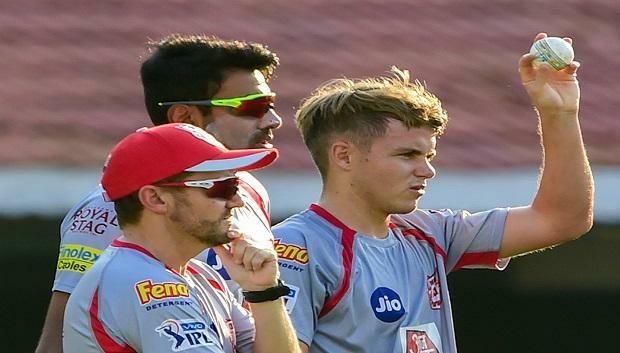 Kings XI Punjab: R Ashwin (capt), Chris Gayle, KL Rahul, Mohammed Shami, Mayank Agrawal, Karun Nair, Mujeeb Ur Rahman, David Miller, Sam Curran, Varun Chakaravarthy, Nicholas Pooran, Moises Henriques, Hardus Viljoen, Darshan Nalkande, Sarfaraz Khan, Arshdeep Singh, Agnivesh Ayachi, Harpreet Brar, Murugan Ashwin, Andrew Tye, Ankit Rajpoot, Mandeep Singh, Simran Singh.